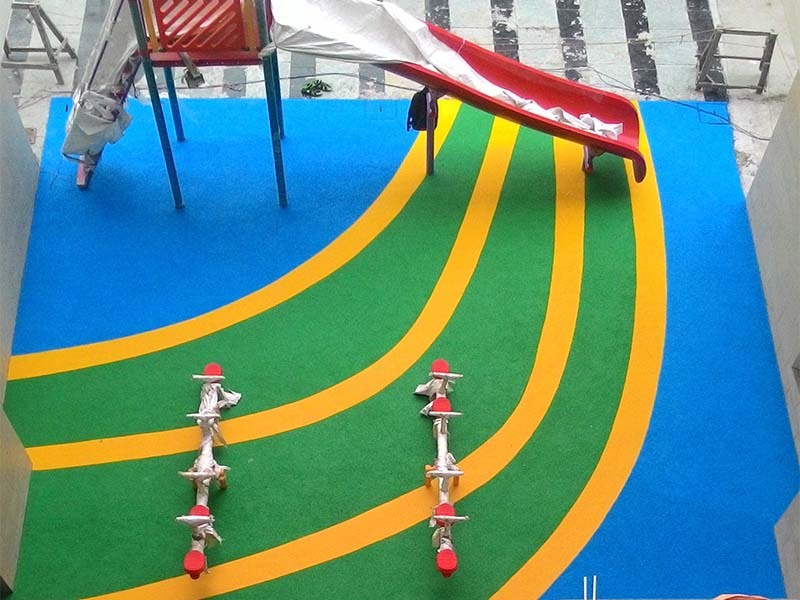 Rubber Flooring for Children’s Play Area – Costa Sports Systems Pvt. Ltd. The high performance qualities of Costa Sports Products along with the specialized expertise of Reform Sports behind its manufacture and installation of rubber flooring for children’s play area, has led to the development of an extensive range of world class Rubber Floors and Tiles sports arena globally. 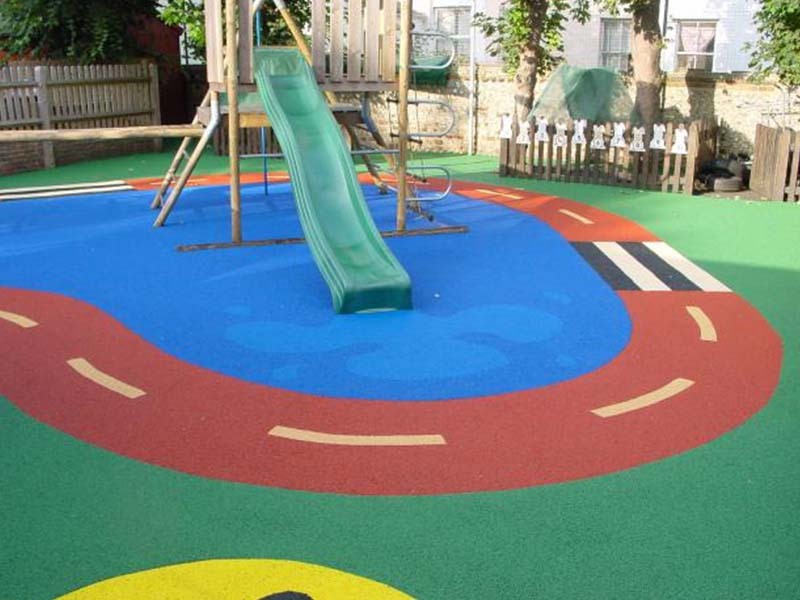 Why choose Rubber Flooring for Children’s Play Area? Rubber flooring is an excellent choice for both indoors and outdoors installations where a durable surface is required. The hardest wearing flooring finishes are rubber flooring. These flooring are available in different colors, designs, thicknesses and grades to suit the needs of the clients. Rubber flooring are made up of SBR granules which are recycled car granules. They are mixed with EPDM rubber which is synthetically manufactured and colored. These are suitable for outdoor children play area , gym floors, weight rooms, indoor sports hall and playground surfaces to name a few. COSTA rubber flooring is available to in different designs and colors to provide a tailor-made approach to the their clients. The rubber floors and rubber tiles installed by us is applicable for all kinds of indoor and outdoor applications for children’s play area, gymnasiums, indoor halls, table tennis rooms, multipurpose halls. 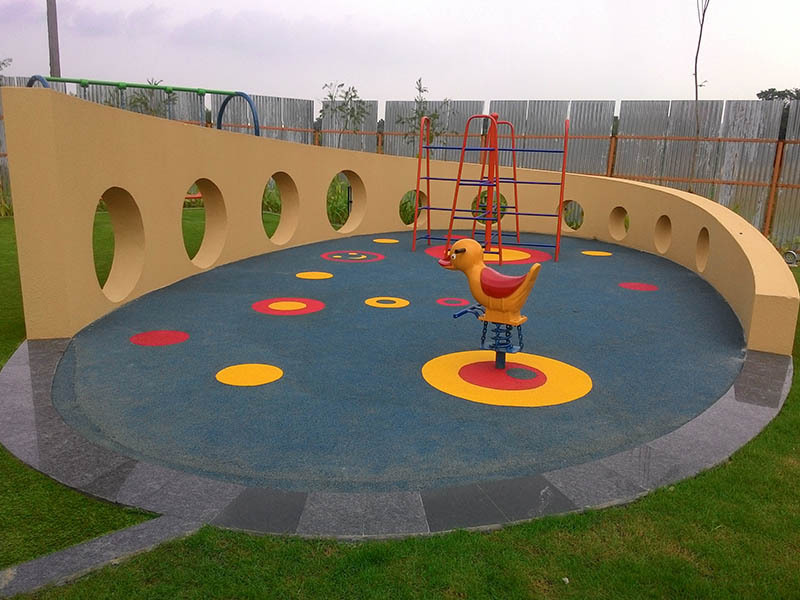 For children’s play ground, walking ways and outdoors tiles are more suitable. For indoor sports fields more suitable are rolls. The base preparation required for installation of rubber floors is either Asphalt or Concrete sub base. The drainage system required depends on the size of the ground. Slope is very important. Binders are used to bind the rubber tiles and rolls to the sub base. Our products are used in many countries and have approved resistance to hot-cold climates. Many Color options helping to customize your patterns and need. COSTA SPORTS SYSTEMS understands the needs of the clients and help them to choose the right surface, design and color.